Whether you’re saving for retirement, a house or other goals, investing your money can bring higher returns. Some people hold all their cash in a savings account. However, regular savings accounts earn pitiful rates — about 2.29% APY (average saving rates) —which isn’t enough to take any savings efforts to the next level. However, to benefit the most from these accounts, you need to make sizable deposits. 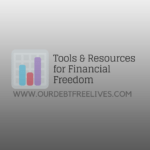 Depending on your financial goals and how fast you want a return on your money, investment options such as the stock market might be a better choice. The stock market can be risky, and there’s always a chance that you’ll lose your investment. But if you invest long-term and choose the right investments, you can receive an average yearly return around 9% or 10%, which might be the boost your money needs. But while average returns are better than nothing, you may strive to beat these returns. Some money experts say it’s impossible to beat the stock market — primarily because there’s no way to know how stocks will perform. You may think you’ve made a good pick, only to see a chosen stock plummet in value. But if you speak with other experts, they might say it’s possible to beat average returns — although not guaranteed. Any time you invest money in the stock market you’re taking a risk; but if you follow the tips below, you might enjoy better returns and grow your money faster. The value of stocks can rise and fall on a whim; and to be honest, not everyone has the stomach to invest in the market. But if you’re willing to take a chance, you need to maintain control over your emotions. Too often, people invest in the stock market and make the mistake of selling too soon when prices drop. Naturally, nobody wants to lose all of their investment. But if you’re trying to beat average returns, you have to ride the wave and not panic with every market drop. A stock can drop today and rise to greater levels next week. If you sell too early, you can miss out on huge profits. If you’re seeking higher returns, understand the importance of diversification. Some people diversify their income to protect their finances from a potential job loss. Another income source provides a backup plan and a way to keep their head above water. The same is true with investing. Some people fall in love with one particular type of investment, such as real estate, stocks or bonds, and this is where they focus their energy. But since there are no guarantees when investing your money, you have to exercise caution and spread out your money. Don’t invest 100% of your portfolio in a single asset. If this portfolio drops significantly, your losses will be huge. But when your money is spread across different portfolios, a drop in one area won’t result in catastrophic losses. Additionally, if your different asset classes grow and over-perform simultaneously, there’s the opportunity for a better return. Some novice investors jump into the stock market too soon. But if you want to beat average returns, you need to understand what you’re buying. Don’t choose a stock simply because someone says it’s a hot pick. Do your research, study stocks and don’t rely on others to make a decision for you. Who is the company? How do they make their money? What’s their future outlook? Consider the current and potential future strength of any stock before you purchase. 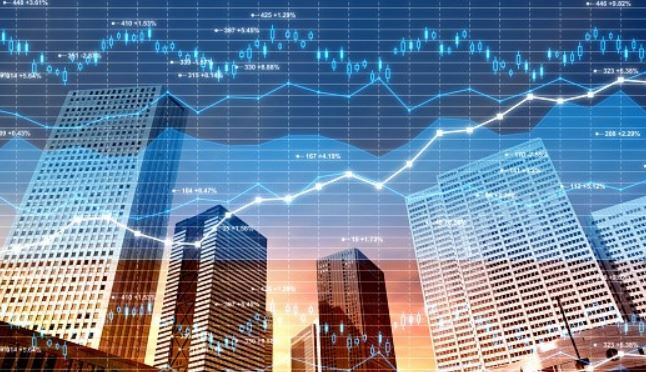 While other investors may ignore a small startup, you might take a chance with this stock if research leads you to believe the company will be the next big thing. If you buy low and the stock rises, you may receive better than average returns on your small investment. Some people are determined to seek a higher return; therefore, they work with brokers or a financial planner. This is a good move, especially if you don’t have a strong understanding of the stock market or investments. Just know that knowledge isn’t cheap; and fees paid to brokers can eat away at your return over the long haul. So although it’s important that you choose investments that are more likely to perform well, you also need to look for brokers who charge lower fees. Any type of investment has its risk, and it’s only by taking some risks that you’ll realize big gains. Of course, your risk level depends on various factors, such as how much you’re investing and your age. 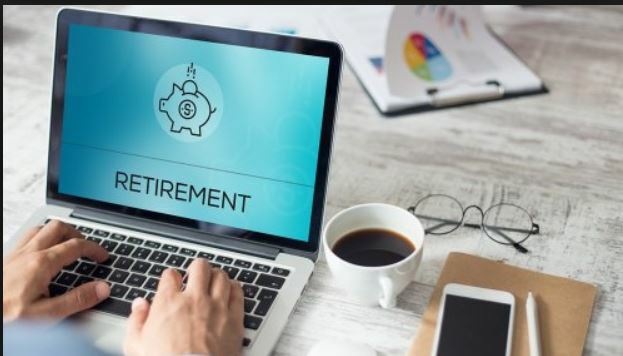 For example, if you’re close to retiring, this probably isn’t the best time to invest in risky stocks or other investments that might deplete your life savings. But if you’re young — perhaps in your 20s or 30s — you can afford to be a little aggressive. You may lose money, but there’s plenty of time to recoup what you lose, especially if you’re investing long-term. Also, understand that risks don’t only apply to the stock market. If you’re investing in real estate, the risk could be buying a distressed property and putting tens of thousands of dollars into improving property with hopes of selling for a huge profit. If you buy a distressed property for $50,000, invest $30,000 of your own money, and then sell the renovated house for $160,000, that’s a return of 50 percent. Risks can be scary, but this is how some of the best investors get higher returns on their money. Summer is just around the corner, and while some are worrying about sculpting their summer physiques, my concern focuses more on trimming up my summer budget. Summer is a spend-heavy season, synonymous with vacations, road trips, and even smaller-ticket items like ice cream trips that can still really add up. I want to enjoy all of that, but I want to be able to do it guilt free. Fortunately, there are a number of ways to cut down spending before summer, so that your savings won’t take a hit when it’s time to get up and get out. It may seem like a trivial bit of advice, but psychological evidence is stacking up to suggest that creating a positive mindset when it comes to what’s already in your life can help you control larger habits, including spending. The underlying ideology is that creating contentment with what one has counteracts the need to refresh or replace; a need that’s constantly fed to us, because the free market is only as good as its ability to sell in the marketplace. Think about the mania surrounding the iPhone as an example. We all know someone who lines up at midnight to be one of the first to get their hands on a new generation, even when they had a perfectly functional piece of technology beforehand. We want the new phone because it’s supposed to be better, more capable, and have a more rewarding user experience. At the end of the day, though, a new phone might alter our mood for a few hours, but what does it do for us long-term that one generation previous couldn’t? Small things like simply writing down a few things you appreciate in your life and taking the time to do things you can enjoy for free can get your mind off of spending and help you focus on the material items in your life that are truly, functionally worth the cost of addition or replacement. You’d be surprised at how many fun ways there are to pass the time that don’t cost a penny, especially during the summer season. Once your head is in the right place, challenge yourself to not spend outside of necessity. The Budget Diet ran the numbers, and if you cut down spending by $13 a day, you could save $400 a month, which comes out to around $4,800 a year. Living completely no-spend is difficult, but going no-spend for short bursts can help cut out those unnecessary costs, such as impulse buys, entertainment costs, and even things like clothes and shoes that are eating up thousands of dollars of savings a year. Spending only on necessities such as bills, groceries, and gas for even a week can add up. Take me, for example. I have a set food budget every month that gets me more than enough at the store to get by. For the sake of convenience, though, I rarely bring lunch and thus spend about $10 five days a week grabbing a bite. If I went no-spend for one week, my lunch expenses alone would save me $50. The idea of no-spend is not to get you to give up all spending, but rather to create short savings bursts that can help you better evaluate what is really worth your time and cash. Free apps like GoodBudget and Mint can even help you keep track of your spending easily and on the go. Minimalism is as hot a trend in finance as it is in design, and believe it or not, the two actually kind of pair. This is a big and small change coupling, where you need to go through both your current space, expenses and see what you can cut. Minimizing things like clothing, furniture, and home décor is a cent-on-the-dollar kind of change that can not only help with creating a clear headspace when it comes to cash, but will also save you a little bit each time you downsize since there is less that has to be cleaned and maintained, meaning less spending on things that aren’t that important. The next step is go through and financially clean up those things that you’re actively paying for, but don’t really need. If you’re paying for a cable package, for example, but spend most of your time binge watching Netflix, cutting your package down to just internet could be a savings of $100+ a month. Go through your services, utilities, insurance, etc., and see what can be cut down based on what you actually use. Pay specific attention to services like car insurance, cable and internet, cell phone plans, and anything that comes in bundles. You may be able to cut it down to just the services you need and save in the process. Changing the way you get to work can greatly impact the way you save. Paying with pretax dollars, alone, can save commuters hundreds a year without even having to change the way they get around, and the American Public Transit Association estimates that by switching from driving to transit, commuters could save between $8,960 and $14,612 annually. I was actually very surprised when I saw this. A good beer is one of the great indulgences in my daily life, but did you know that between July and August of 2018, the average cost of alcohol and tobacco products went up by 1%? Considering that’s just one month, that’s a climb worth noting. The good news is, these things tend to move in cycles, and prices both rise and fall over time. Keeping track of what’s on an upswing (such as alcohol) and where deals are good (such as gas) can help you prioritize your spending so that you can focus more money on what will get you further. If you really do have a bar you’re seeking to stock, fear not. There are plenty of Apps that can help you compare prices both in store and online to help you make sure you’re getting the best deal on those things you just can’t do without. If spending really must be on the table, you might as well get a return on it, even if it’s small. Look at selling earlier versions of the items you’re looking to purchase, especially for larger items like new technology, household appliances, or anything that’s going to take three or four figures out of your account. Through a mix of cutting expenses, smart spending, and a healthy mental attitude when it comes to money, getting your budget in line before summer is completely possible. 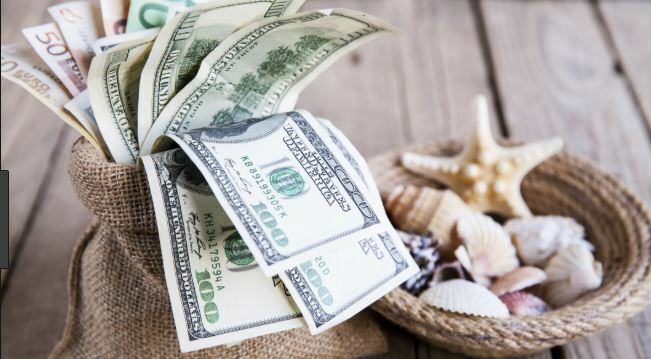 Of course, these things are good year-round, but now’s the time to rake in the savings so that you can enjoy fun in the sun without any added financial stress. was a lucky kid when I was in high school. The car I inherited came with, among other things, a little DVD player in the glove compartment and a screen which flipped down from the ceiling. When I was feeling less than studious, I would sneak out to my car and watch a movie instead of going to another weary study hall. It was a fun distraction, but it was murder on my battery, and replacing a car battery when you’re earning minimum-wage from a part-time job isn’t the easiest task. Even as you get older, those little car expenses can quickly add up. They don’t have to, though. In fact, there are a bunch of things you can do to save money on your car, and they really don’t require a great deal of time or effort. It doesn’t take a mechanic to do this, and if your mechanic tells you it does, don’t go back to their garage. Checking a few basic fluids on your own comes with two-fold savings. First, by checking yourself, you’re saving the cost of having someone else do it for you. Second, by regularly checking your fluids, you know when something might need to be replenished or replaced, saving you from damaging parts down the road. You can replenish some of these fluids yourself without any hassle beyond locating a cap. How awesome is that? This is another incredibly easy DIY operation. Your car’s air filter can weigh down your engine efficiency, with some estimates saying you can lose up to 10% of your gas mileage with a dirty filter. Spare yourself the extra cents at the gas pump and check your filter once a month. It’s not something that necessarily requires replacing, either. You can clean it with an air hose, reducing the number of replacements you have to pay for while still helping you maintain the best fuel economy. You know it’s good to not drive on a flat, but don’t just eyeball it when it comes to your tires. You can check and fill them in a few seconds at the gas station (often for free). Plus, keeping your tires properly inflated can increase your gas mileage by a few percentage points per tire. Meaning, you can get more value out of what you put in at the pump. Proper inflation also helps the tires last longer, so you won’t be spending money replacing them on a regular basis. You don’t have to change your whole policy to save on your car insurance. Many providers offer discounts or incentive programs you can take advantage of simply by being a good driver. See if your insurance company gives an accident-free bonus for safe driving. If you are a student driver or you have one on your policy, ask about the good student discount. You can motivate yourself to study while you save. 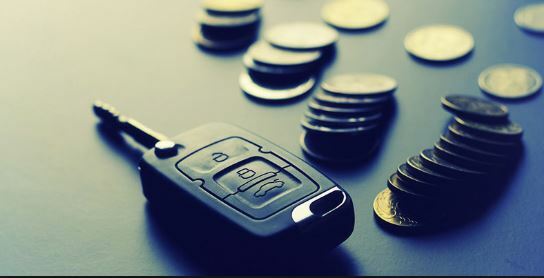 An easy way to save money on your car is to not drive it as often. If you live in an area where public transportation is available, consider taking it on occasion. Avoid parking nightmares by taking the bus or train to a show or event, or enjoy your night out a bit more without worrying about driving home impaired. Another easy option is to carpool. Yeah, you might have a few extra people in your car every once in a while, but you’ll be reducing the distance you’re driving on a regular basis, which means you’re spending less on gas, putting less costly wear on the car, and even being a bit environmentally conscious in the process. You’re going to have to run your engine if you’re stuck in traffic, but if it’s a cold winter day, you don’t need to let your car warm up before you head out. Newer cars are built to run efficiently a few seconds after ignition, so sitting around waiting for your car to warm up is wasting gas. Instead, give your vehicle long enough for you to put on your seatbelt and adjust the radio, and then don’t be afraid to get going. If you find your new car is having trouble turning over in the cold, don’t be afraid to seek out a mechanic’s help before you end up with a much larger, more expensive problem. There are a lot of simple things you can do on your own when it comes to your car, but one of the most costly mistakes you can make when it comes to maintaining your vehicle is to assume being able to do some things means being able to do them all. Like anything else, your car will experience wear and tear and at some point, you’ll need to get the lights checked, investigate some noises, or have real maintenance completed by a professional. Don’t wait too long when it comes to routine maintenance, or it could end up leading to more costly damage. Instead, find a mechanic you can trust, and work with him or her to make sure your car is properly maintained at regular intervals. It might not seem like the cheapest option upfront, but it’s a lot cheaper than having to pay for a new, non-damaged car.